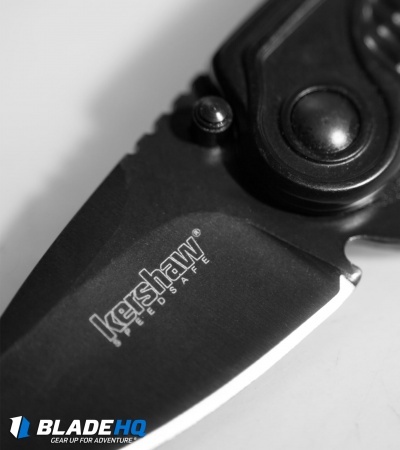 With an overall length of just 4.75", the Kershaw Spoke is the perfect everyday carry companion. It features a 2" stainless steel blade and a stainless steel handle. 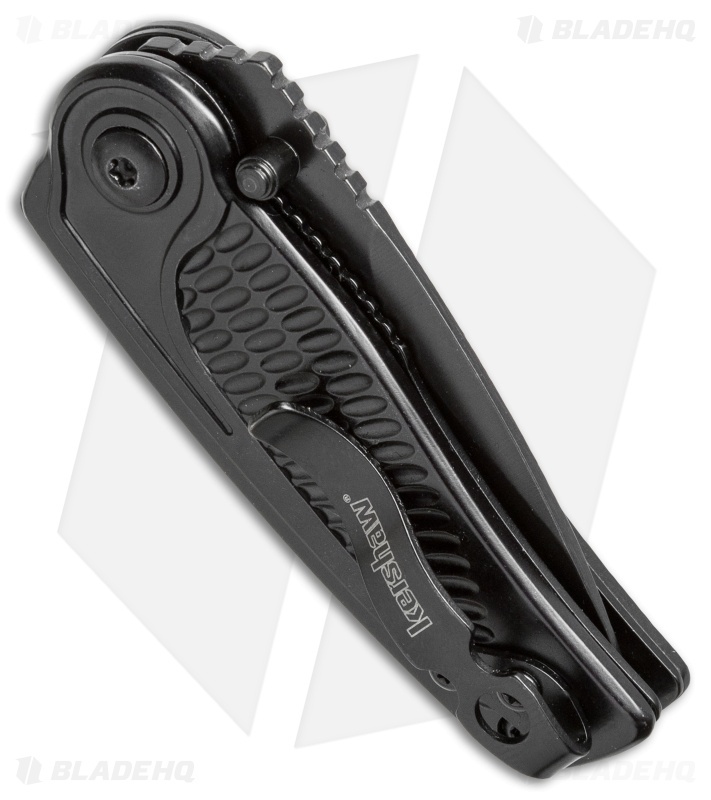 Both the handle and blade come in a durable black oxide coating that gives off an impressive appearance. A unique machined texture on the handle provides excellent grip and an extra element of flair. 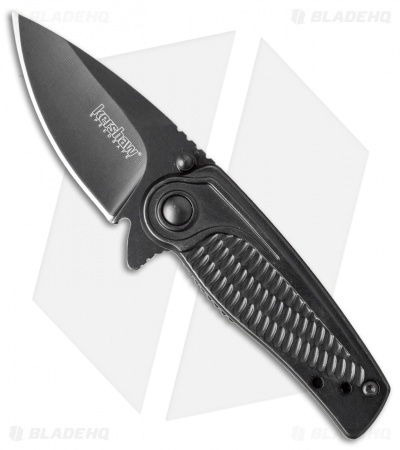 The blade flipper snaps open the blade with Kershaw's smooth SpeedSafe opening mechanism. Includes a tip-up pocket clip that is reversible for left or right hand carry. 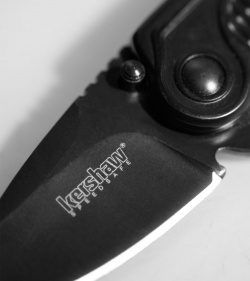 The Kershaw Spoke is a compact knife that offers large cutting prowess. But this one is a bit harder to flip open. Due to small size of the flipper it requires more effort than I am used to for a Kershaw flipper knife. When closed the flipper stud is only about 1\8" or 3.1mm. For it's size it's also a bit heavy: on my digital scale it came it consistently at 3.2oz not 2.80oz as indicated in the specs. The handle length is not 3.5" it is 2.875" or 73mm on my digital caliper. thickness is about .45" or12mm. It can be easily opened or closed with one hand. I am not a folding knife expert. I just know what I like in a EDC knife it that is usually a flipper or occasional auto. I am keeping this knife and will carry it occasionally. I purchased one of these at a local outdoorsman shop. Makes a great tool box knife. I was charged $40 at the local store and i thought it was a fair price because it performs so well.And its definitely worth it at $17 here. Only problem for me is that its small and i keep losing the damn thing. So I was ordering a knife for a buddies birthday, and picked this one up as an extra, on a whim. When I got it I was surprised by the size. More "stubby" than I thought it would be. The size makes it perfect for a go bag, and it is a great backup for the molle straps on the outside of my backpack that I use on my motorcycle. I am deeply and pleasantly surprised at how well it opens, and that the stubby blade profiles is much more utilitarian than I thought it would be. This is an excellent back up knife. One is none, two is one.